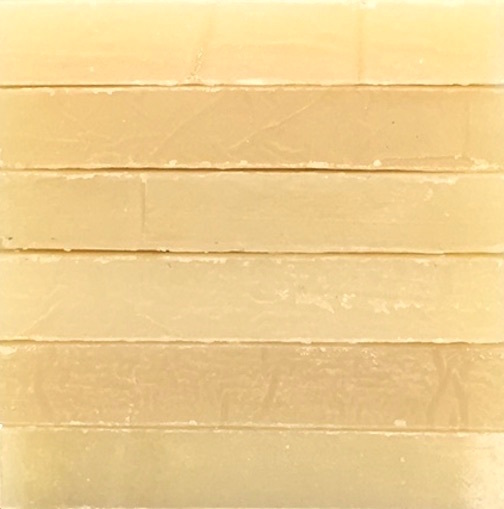 Our Shea Butter Facial Soap Sampler contains six 1.5 ounce slices of our incredible handmade Shea Butter Facial Bars: Lavender, Dewberry, Grapefruit & Bergamot, Tuberose, Rosemary Mint and either White Tea & Ginger, Black Tea and Berries. We do reserve the right to substitute scents in our sampler sets as needed throughout the year! Minimum weight of this gift set is 9 ounces, or three bars of our regular size bar soap. Soaps in this Sampler will include Olive, Coconut, Palm and Castor Oils, Shea Butter, Cocoa Butter, lard, Sodium Hydroxide (Lye), Mountain Spring Water, herbs and botanicals, fragrances.